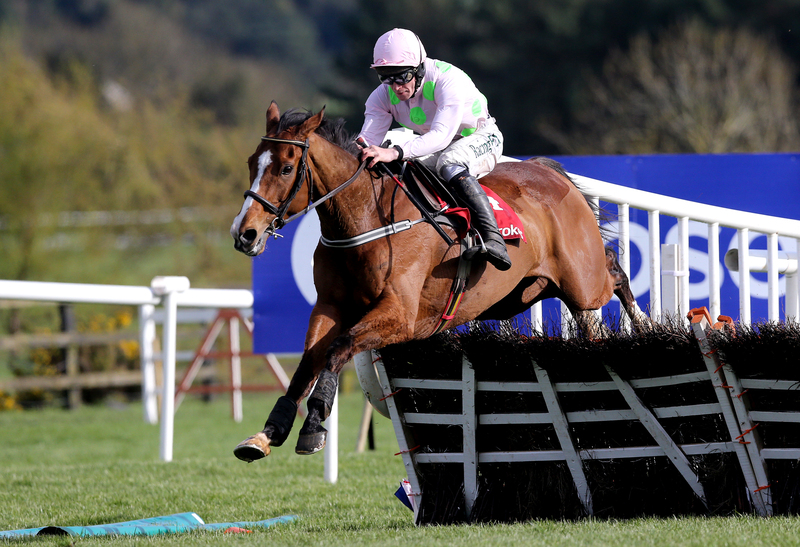 Faugheen and Samcro are among 21 entries for the JLT Long Walk Hurdle at Ascot on December 22. The Willie Mullins-trained Faugheen suffered a shock defeat at the hands of stablemate Sharjah in the Morgiana Hurdle at Punchestown last month. However, he would be of significant interest if returning to three miles in Berkshire later in the month, having rounded off last season with a stunning display at Punchestown over the longer trip. Mullins could also call upon Cheltenham Festival heroine Benie Des Dieux. Gordon Elliott’s Samcro is a fascinating entry. Connections set out this season to head down the Champion Hurdle route, but he proved no match for dual champion Buveur D’Air in the Fighting Fifth at Newcastle last Saturday and he has been given the option of stepping up to three miles for the first time since winning his point-to-point. Elliott has also entered his brilliant mare Apple’s Jade, who won the Hatton’s Grace Hurdle at Fairyhouse on Sunday for the third successive year with a 20-length demolition job, as well as Sutton Place. The home team includes the last two winners of the Long Walk in Harry Fry’s Unowhatimeanharry and the Jedd O’Keeffe-trained Sam Spinner. Other contenders include Fry’s If The Cap Fits, Agrapart – whose trainer Nick Williams saddled Reve De Sivola to win this prize three times – and Emma Lavelle’s recent Haydock scorer Paisley Park.